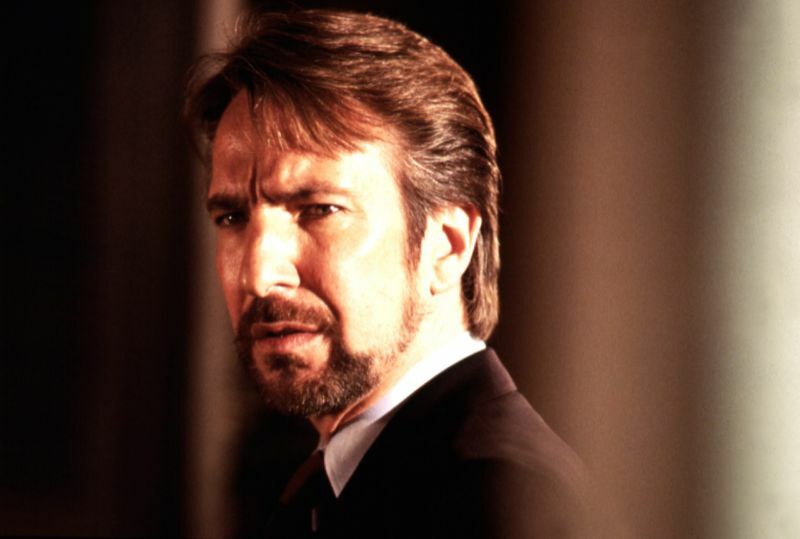 Strangely, it was his role in John McTiernan’s action classic ‘Die Hard’ that proved Rickman’s big-screen break. where he was nominated for a Tony – he showed that he was no elitist, playing to the crowd superbly as the maniacal terrorist leader Hans Gruber. It remains one of his most memorable roles. 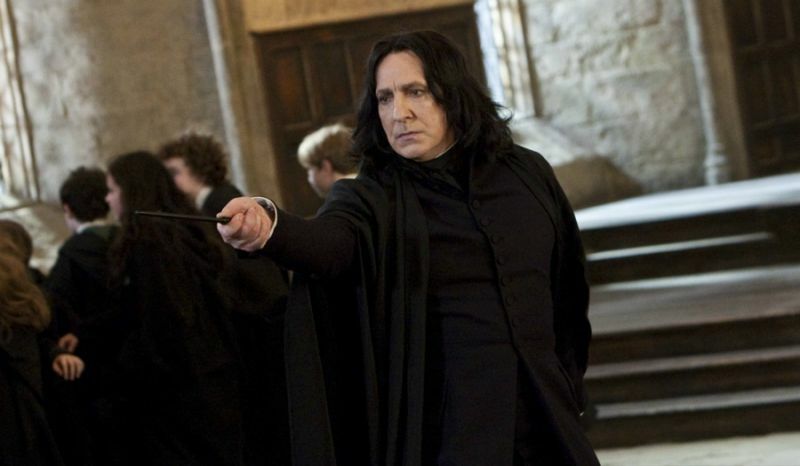 It’s perhaps his Severus Snape that Rickman was most synonymous with in recent years, what turned out to be a rich and continually shape-shifting role over all eight of the Harry Potter movies. He played both antagonist and ally to Daniel Radcliffe’s Harry firstly as potion master, and latterly headmaster of Hogwarts. 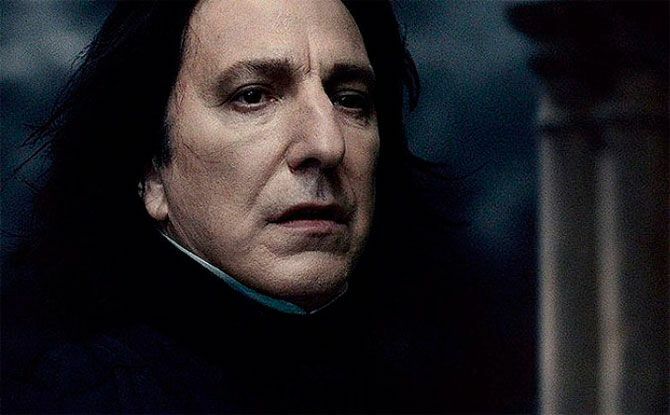 Sneering and deceitful, one could hardly imagine another actor doing Snape the same justice. A heartbreaking performance from Rickman in the late Anthony Minghella’s celebrated BBC movie, at turns funny, poignant and deeply moving. He played Jamie, the boyfriend of Juliet Stevenson’s Nina, who appears seemingly as a projection of her grief following his death. Pitched perfectly, it won Rickman and Stevenson the BAFTAs for Best Actor and Best Actress that same year. 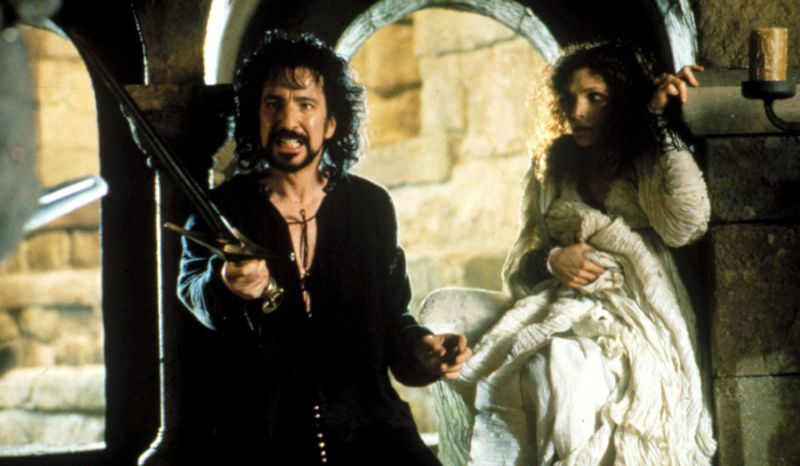 If there’s been a better Sheriff of Nottingham in any of the adaptations of the Robin Hood story, we’ll eat our hats. Like Gruber, Rickman revelled in the dastardliness of his character, but skirted caricature deftly, while effortlessly holding his own among a star-studded cast which included Kevin Costner, Mary Elizabeth Mastrantonio, Christian Slater and Morgan Freeman. He, quite rightly, won the BAFTA for Best Supporting Actor for his trouble. 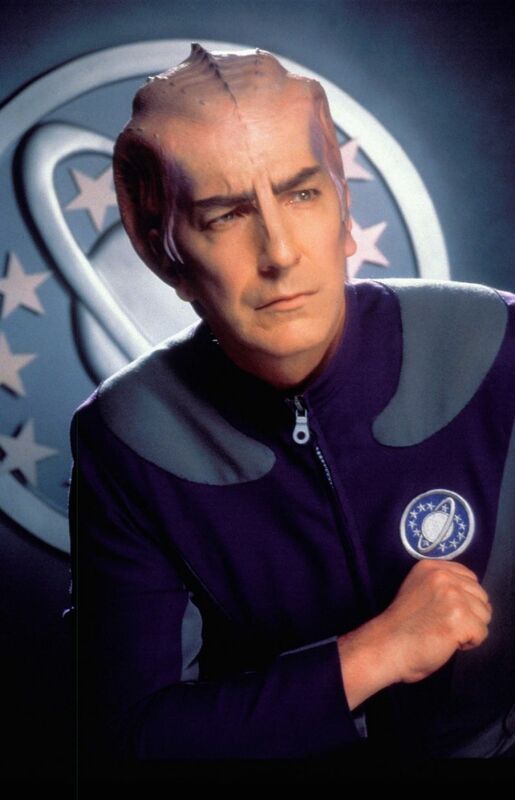 Rickman sent himself up with aplomb in this much-loved sci-fi spoof, as the classically-trained Shakespearean actor Alexander Dane, brimming with simmering resentment at the fact that he’s been reduced to hackneyed catchphrases and ludicrous prosthetics for his role as the alien Dr. Lazarus in the Galaxy Quest TV series.